One major trap that rookie screenwriters fall into involves including scenes that lack any conflict. These scenes may contain detailed dialogue, flowery descriptions, or overly specific exposition. As an experienced screenwriter, you understand that the objective of a script is not to show how beautifully you can write, but how efficiently you can tell your story. Regardless of if the conflict is “Man vs. Man”, “Man vs. Nature” or “Man vs. Himself”, conflict is the driving force behind every story. “Adversity does not build character, it reveals it,” the old motivational maxim goes. The more conflict your characters encounter in pursuit of their goals, the more chances you have to reveal what those goals are and how far they will go to obtain them. As you raise the stakes through the story and place the characters in more desperate situations, the adversity and conflicts they face in every scene will show the audience more about that character's qualities. 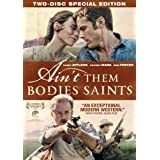 In Ain’t Them Bodies Saints, writer/director David Lowery uses conflicts in nearly every scene to reveal the motivations of his main character, Bob Muldoon (Casey Affleck). The conflicts shows Bob's Victories, Obstacles, Tactics and Energy with minimal dialogue and enough energy to earn a Grand Jury Prize nomination at the Sundance Film Festival in 2013. You can also use conflict in every scene to establish the relationships between characters. The conflict you show in these relationships also serve as momentum to carry each character through their story arcs and show how those relationships evolve through the course of the script. In Only God Forgives, writer/director Nicolas Winding Refn defines the character of Julian (Ryan Gosling) in his conflicts with his girlfriend Mai (Yayaying Rhatha Phongam), his mother Crystal (Kristin Scott Thomas) and police detective Chang (Vithaya Pansringarm). When your script has conflict in every scene, the tasks involved in shooting each scene become much easier for the director and the actors. Directors will understand the objectives for each scene, while the actors will know how to play off each other and deliver better performances. 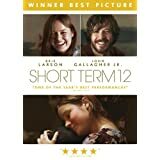 In the indie film Short Term 12, writer/director Destin Daniel Cretton uses the conflicts between Grace (Brie Larson), her boyfriend/co-worker Mason (John Gallagher, Jr.), and her charges in a foster care transition home to build an affecting story and strong but subtle performances. If there is an extreme example of a place where the saying “Time Is Money” is true, it's a film set. Every scene that does not carry the story forward constitutes a waste of time, money and effort on everyone involved. When you include conflict in every scene, you move the story toward its climax. 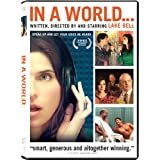 In the comedy In A World..., writer/director Lake Bell puts her character Carol into conflict her father (Fred Melamed), his protege (Ken Marino), her sister (Alexandra Holden) and brother-in-law (Rob Corddry), and nearly everyone else in the voice-over industry, while still keeping the story moving in a brisk and fun 93 minutes. In today's world of 500 cable TV channels, viral videos and streaming media, audiences have never had more choices. The best way to make them choose your story is to give them something to watch in every scene. If the story drags at any point, audiences will change to another channel, click another link or tweet a negative review. 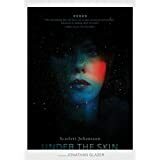 The recent Scarlett Johannson film Under The Skin, with screenplay by Walter Campbell and directed by Jonathan Glazer, serves as a prime example of how NOT to maintain conflict in every scene, as it drags in too many places and cuts away quickly in others, leaving audiences confused, bored and frustrated. If you haven't started writing your screenplay yet, you should attempt a scene-by-scene outline and determine the conflict in each scene. If you have a completed draft, read each scene, one at a time, and find the conflict. If the scene does not contain conflict, either find a way to establish conflict in that scene or cut it out. Remember, every conflict does not have to be a fistfight or shouting match. However, every conflict must push the main character either closer to or further from his goal. Whether your script is an action-packed thriller, a quirky comedy or a stark period drama, you want to take the audience on an emotional roller coaster. Conflicts give your scripts lots of ups, downs and loop-de-loops to make for an exciting ride. If you want to learn how to bring conflict and tension your script, contact us at StoryIntoScreenplayBlog [at] gmail [dot] com. We specialize in developing ideas, characters and concepts into powerful and memorable stories. Also, remember to Like us on Facebook and follow us on Twitter to get the newest updates.